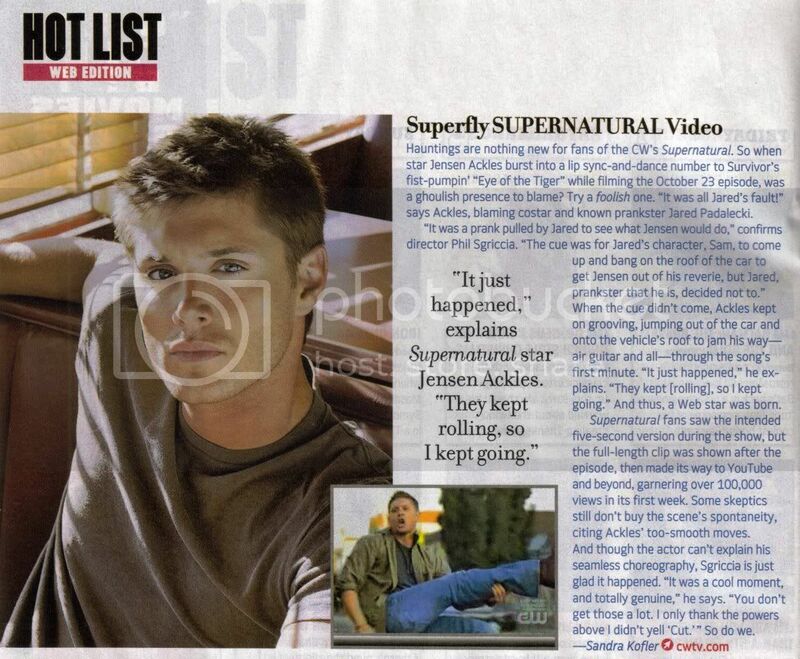 The Superfly Supernatural Video article has been posted before, but I'm posting it again because it's so awesome. Thanks to trystan830 & zofia27, & Lynn & Metalligirl at tvguide.com for the find! I could watch that video all day. I did a quick tally on YouTube and it looks like it's been viewed well over 300,000 times now. Thank you Jensen for your adorkableness!